All changes in chapter and SIS bylaws need to be submitted to the AALL Bylaws and Resolutions Committee for review and approval. It is strongly recommended that this be done prior to approval by your chapter members. 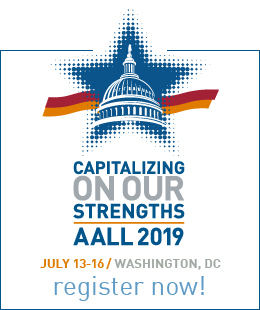 The AALL Bylaws and Resolutions Committee is also available to offer advice and suggestions at the early drafting stages, including acting as a sounding board, which in turn may make life a little easier for those chapter members trying to tackle bylaws changes. Creation: Chapters may be created by the Executive Board upon a petition by a group of 25 or more active members residing within the territory of such chapter. Purpose: Chapters may be created for any lawful purpose consistent with the object of the Association. Chapter activities: must be consistent with the objectives of the Association. Local associations of law librarians need not be affiliated with the AALL but may be. Membership qualifications: may be set by the chapter, but must comply with the anti-discrimination provisions of the Association Bylaws. Nonmembers of the Association may be accepted as members by chapters, but the president of the chapter must be a member of the Association. Discrimination: Membership in a chapter of the Association or participation in any activity of a chapter shall be in compliance with AALL's anti-discrimination clause in Article III of the AALL Bylaws. Chapter bylaws: Must be submitted to the Bylaws and Resolutions Committee of the Association for review to ensure that the provisions proposed are not in conflict with any provisions of the Association's Bylaws and are otherwise consistent. It is strongly recommended that this be done prior to approval by your chapter members. Expenses: Chapters may not incur expenses on behalf of the Association nor may they commit the Association by any declaration of policy. Purpose.Individuals may petition the Executive Board for the creation of a chapter for any lawful purpose consistent with the object of the Association recited in Article II. Activities of chapters must be consistent with the objectives of the Association. Relationship with AALL.Chapters of the Association may be created and governed under such conditions and subject to such regulations as may be provided in the Bylaws. Any local or regional law library association that does not desire to become a chapter of the American Association of Law Libraries may nevertheless become affiliated with the Association under such conditions as may be provided herein, or, in the absence of such conditions, subject to such regulations as the Executive Board may establish. Establishment of a Chapter.Any group consisting of 25 or more active members of the Association, residing within the territory in which such chapter is desired, may apply for permission to establish a chapter of the Association by forwarding a petition, in writing, to the Secretary at least 60 days before any regular meeting of the Association. The application shall include or be accompanied by a copy of the bylaws (and constitution, if any) under which the chapter is operating or proposes to operate. The Executive Board shall, after having made a proper investigation, report favorably or adversely thereon to the members of the Association at the ensuing Annual Meeting, at which meeting the question of the establishment of such chapter shall be part of the regular order of business. Membership.Chapters may establish their own membership qualifications and rights. The membership criteria adopted by the chapter must comply with the anti-discrimination provisions in Article III of the AALL Bylaws. Chapters may accept members who are not members of the Association, but the president of the chapter must be a member of the Association. Bylaws.Chapter bylaws must be consistent with the Bylaws of the Association. The bylaws of each chapter, whenever adopted or amended, shall be submitted to the Bylaws and Resolutions Committee for review. It is strongly recommended that this be done prior to approval by chapter members. When the Executive Board, on the advice of the committee, determines that a chapter bylaw is in conflict with the Bylaws of the Association, the chapter shall be directed by the Board to remedy said conflict in accordance with the recommendation of the Committee. Limitation of Powers.No chapter shall incur expenses on behalf of the Association, nor shall any chapter commit the Association by any declaration of policy. Dissolution.The Executive Board may, after proper investigation, recommend to the membership at an Annual Meeting the discontinuance or suspension of any chapter that has ceased to be active or that fails to comply with any provisions of these bylaws. All inquires concerning the establishment of a chapter should be directed to Association headquarters which will furnish the following: (1) this checklist, (2) a copy of the current Bylaws of AALL, and (3) a copy of the current Model Chapter Bylaws. The proposed chapter must send to Association headquarters a petition to become a chapter signed by 25 or more active members of the Association residing in the area in which the chapter will be formed. Headquarters staff will verify the membership status of those signing the petition. Headquarters will forward the verified petition to the secretary, who must receive it at least 60 days before the next Annual Meeting. The proposed chapter must send a copy of the proposed chapter's bylaws to the AALL Bylaws and Resolutions Committee and for review. The bylaws of the proposed chapter must not be inconsistent, at that time, with the bylaws of the American Association of Law Libraries. After its review, the Bylaws and Resolutions Committee will report its conclusions to the AALL secretary. 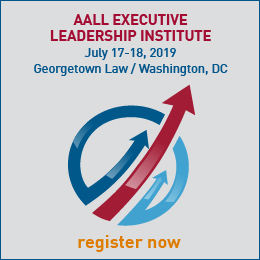 In the event that the proposed bylaws are not in conformity with AALL Bylaws, the Executive Board will ask the proposed chapter to redraft and resubmit the document(s). The secretary will report to the Executive Board at its first meeting after the completion of the above steps. The Executive Board will report favorable or unfavorably to the membership at the next business meeting, at which point the membership will vote.